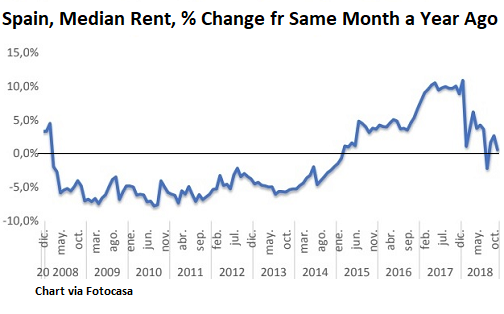 Spain’s residential rental market has been on a bit of a roll of late. Over the last 45 months, median rents have risen year-on-year in all but one of them: August 2018. In the hottest markets, such as Barcelona, Madrid and the Balearic Islands, rents are now higher than they were even at the dizzying peak of Spain’s madcap real estate boom. But the boom may be coming to an end.